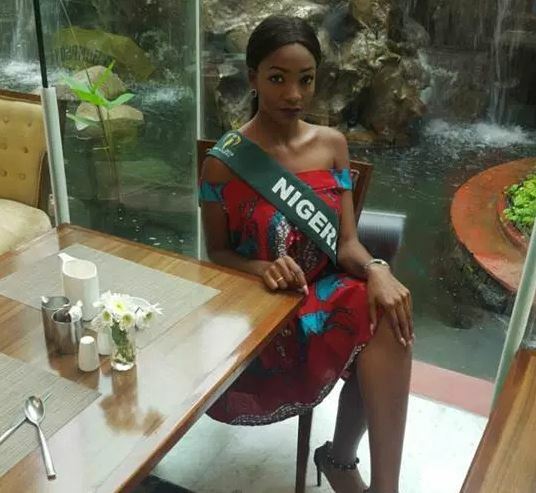 According to her, it will be hard to keep a relationship as she has been overwhelmed with both her school’s activities and her role as Miss Nigeria. But then, the pretty girl said the clause has not hindered guys from stalking her. She added, “I have stalkers. Every girl has a stalker, but I feel God has given us a way to handle it without hurting anyone. I was not even in a relationship before becoming Miss Nigeria. I have been jostling between school and Miss Nigeria, so I barely have time. “The way I handle men now is pretty much the same way I handled men before I won the pageant. I have been a girl all through my life and I feel all girls get pressure from men. “The lowest point is learning how to be patient, especially with the environmental battle I’ve embarked on. It is very tough. We had a beach cleanup two weeks ago and before we finished cleaning up half of it, the other part which was already cleaned up had been messed up again. “I don’t believe in starting up something when you are not ready for it. I believe you have to lay your bed properly before you lie on it. I have a couple of business ideas, but I have yet to make up my mind. I don’t feel bad that the spotlight will be off from me soon. I wish I could still hold on to it because once you’ve eaten sugar, you don’t want to stop. But don’t forget that if you keep eating sugar, you will get diabetes. I think I have had my own share and I have gathered things I can tap from to become whoever I want to be. The wise thing for me is to grow and become a greater person. I am just looking forward to handing over to the next Miss Nigeria. Ko kun san sirrin mallakar miji?